We are Manufacturer of Non Woven Felts and Polyester waddings which are used in home furnishing. 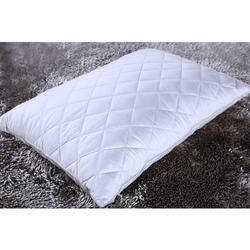 High Quality Quilted Pillows are available in all shapes and sizes. High Quality Conjugated Virgin Fibre and Micro Fibres are used for filled. 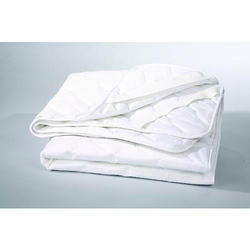 We make Duvets, Quilts, Rajai, etc in Whites and printed fabrics too. We also take Jobworks for making the same. All our products are filled with First Grade Polyester Fibre or Cotton Batting which is best for Home use and Other applications. Waterproof: keeps the mattress long lasting even after having several spills of liquids. 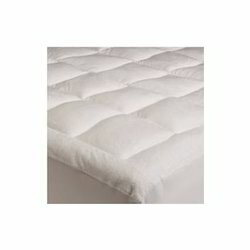 Hypoallergenic: Provides an allergy-free surface on which to rest. It has a Elastic Bands which allows you to completely enclose the mattress in the protector. Dust might live in bed mattresses. These mattress protectors are very lightweight and comfortable. Our Wide Range of Bed Protectors are very famous in Hotel Industry and Home Uses. Beneficial for age groups from infants to old age groups.